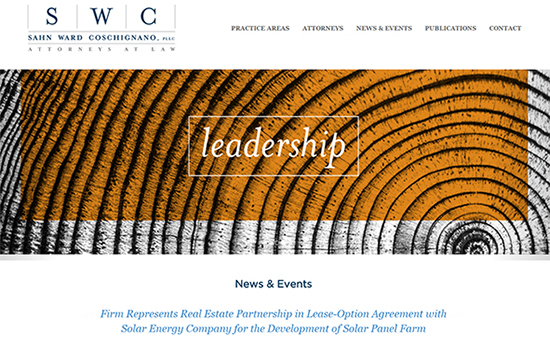 SAHN WARD COSCHIGNANO, PLLC is a full service law firm concentrating in the areas of zoning and land use planning; real estate law and transactions; civil litigation and appeals in state and federal courts; municipal law and legislative practice; environmental law; corporate law and commercial transactions; matrimonial and family law; estate and trust practice including special needs planning and elder law; labor and employment; real estate tax certiorari and condemnation; and telecommunications.. 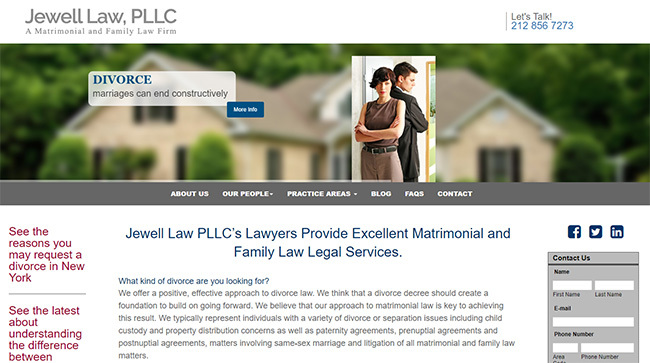 The Firm is a long-standing client that we featured in this section some five years ago. 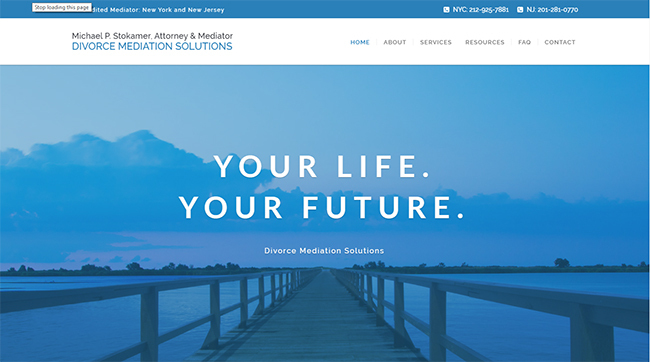 Since that time, this important Long Island law firm has grown considerably and their website has grown correspondingly. 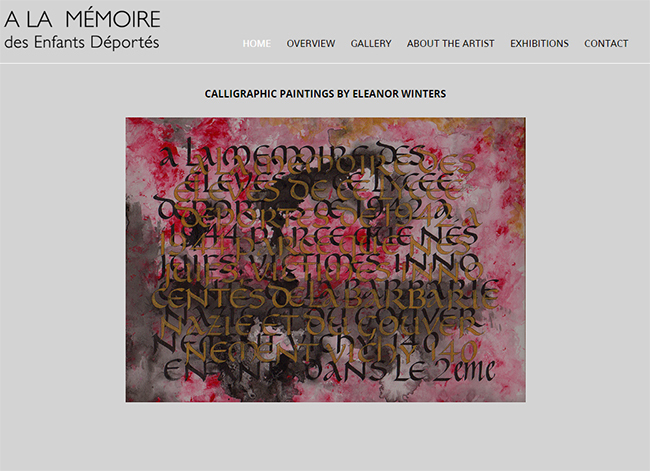 Finishing about one year ago, we completely rebuilt the site from the bottom up, with fresh graphics, new sections, more photography and greater usability on a responsive platform. Realty Advisors is an international real estate consultancy. 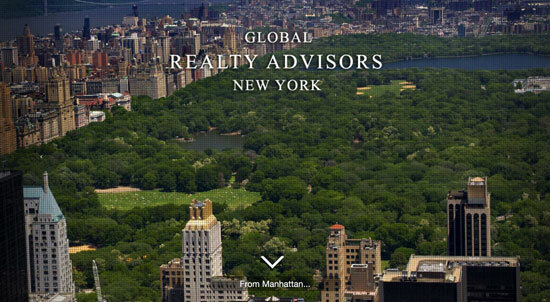 Founded by New York-based real estate guru, Esther Muller, Realty Advisors provides advice and guidance to international investors world-wide. Her firm specializes in assisting high net worth individuals in locating and purchasing properties in the United States and in Israel. With contacts and knowledge ranging from Central Park to Miami Beach to Tel Aviv, Esther and her team are uniquely qualified to match the right client with the right property. The firm’s skills and expertise can facilitate handkling the complexities of international finance and negotiating challenging legal issues. The website we designed and built for Esther is a simple one page, responsive site with a slider. Its purpose is to serve as a portal for her select clients to get in touch with her. 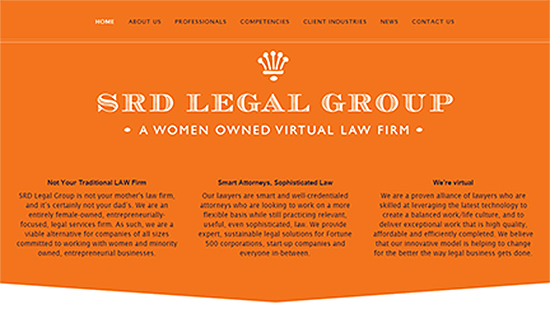 We were very excited to work with the SRD Legal Group, a women-owned law firm based in Connecticut. 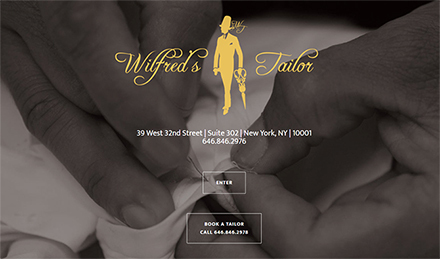 Their innovative approach to the practice of law leverages technology to deliver high quality, affordable services. As an entirely female-owned, entrepreneurially-focused, legal services firm SRD is a viable alternative for companies of all sizes. Part of their mission is the commitment to working with women and minority owned, entrepreneurial businesses. Working with an independent designer, Nexxite built a strikingly different, but still fully responsive, state-or-the-art, website for this terrific group of smart, talented women. Learn more about SRD Legal Group at: www.srdlegalgroup.com. 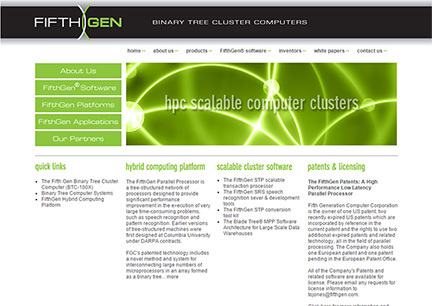 Fifth Generation Computer Corporation (FCG) provides technology for interconnecting ultra-high speed computer processors to handle highly complex operations such as speech recognition applications. The technology has been utilized by such prestigious organizations as DARPA and Columbia University. FCG has owned multiple U.S. and European patents in parallel processing designs. Learn more about FCG at: www.fifthgen.com. Robin is a well-known and highly successful children’s book illustrator who creates the drawings for the Fancy Nancy book series and others. A former dancer with the Pennsylvania Ballet, Robin has transformed her love of that art into extraordinary pictures of young girls at play and having adventures. According to Wikipedia, Robin has illustrated over 60 books which have spent over 350 weeks on the New York Times Best Sellers list and have sold more than 27 million copies worldwide. 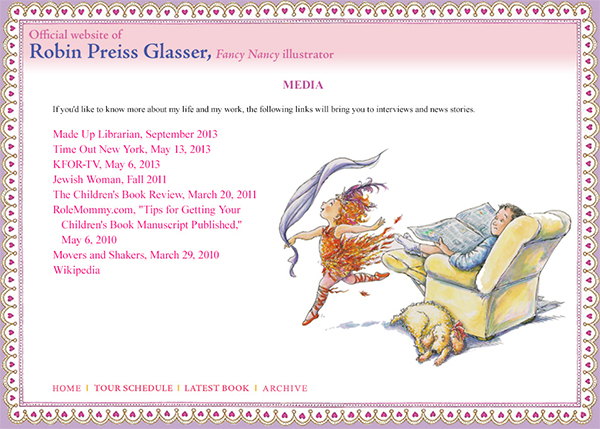 The layout of her website was originally developed by book designer Jeanne Hogle some five years ago and we have maintained her site and laid out the page designs ever since. Robin is a delightful person and every bit as charming as the characters she draws. Take a look at her site at: www.robinpreissglasser.com. BiCoastal Productions has been our client since their founding back in 2007. This talent, entertainment and events agency has grown dramatically and now represents well over 300 acts of all kinds including musicians, comedians, Broadway-style stage shows, speakers, tribute acts and numerous other celebrity entertainers. They handle such diverse talent as The Hit Men (former stars of Frankie Valli & The Four Seasons), Ben Vereen, Lauren Fox (the “Future of Cabaret,” according to the New York Times), and Drew Thomas (the new David Copperfield), just to name a few. 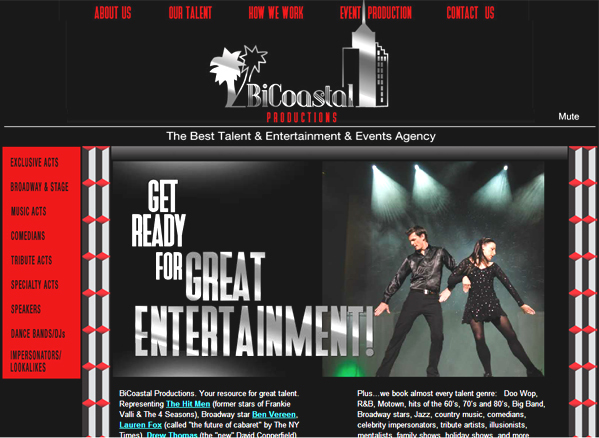 Take a look at the BiCoastal Productions webste at: www.bicoastalproductions.com.